The gentle sound of wind chimes can make a relaxing Sunday morning even more perfect. 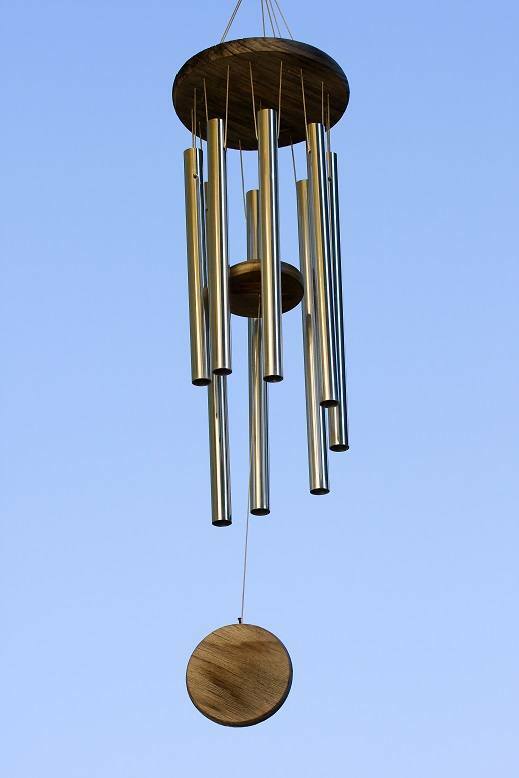 Here are some of the questions people often ask about wind chimes. After you've read through them, don't forget to read our review of the best wind chimes! How do wind chimes make a sound? Wind chimes make a sound when the tubes are blown by the wind into a solid central object (the “clapper”) and into each other. The bump makes the tubes vibrate; the vibrations travel through the tubes, and produce different musical notes. The “pitch” of the note depends on both the length of the tube, and the material it’s made from. What materials can be used to make wind chimes? Wind chimes are believed to have existed for over 5000 years – evidence has been found of wind chimes around 3000 BC. Nobody can tell exactly who invented them, but we do know they’ve been around for a long time! Why were wind chimes made? In early civilisations, wind chimes had several uses. In China they were hung in temples and pagodas, to keep evil spirits at bay. Later on they were used by other civilisations to create a peaceful, serene and harmonious atmosphere. For more information, see this article at Wind Chimes Australia. Do wind chimes keep birds away? The jury is out on this one. According to Avian Enterprises, "the unexpected sound of wind chimes is sure to startle any birds hanging by your property". However, other sources suggest you should install small wind chimes to attract curious birds. Perhaps the best answer is from reference.com, who suggest loud wind chimes may act as a deterrent, while smaller, quieter chimes may attract some types of bird. Where should wind chimes be placed? You should experiment with a few different placements around your yard, deck or patio, until you find the best spot. Ideally you should find a spot that gets some wind, but not constant strong winds. You may want to keep it away from bedroom windows of any light sleepers too!. If you are hanging wind chimes indoors for feng shui, the placement is important, depending on what you are trying to achieve - see the next question. Why are wind chimes important in feng shui? Wind chimes have several roles in feng shui, from lifting chi, to suppressing negative energy, even to attracting a partner if you're single! There are many rules concerning the appropriate type of wind chime, number of rods, placement around the home etc.